These adorable deer are found on p. 69 of the Create a Critter cartridge and the heart is an accessory to the turtle on p. 64. 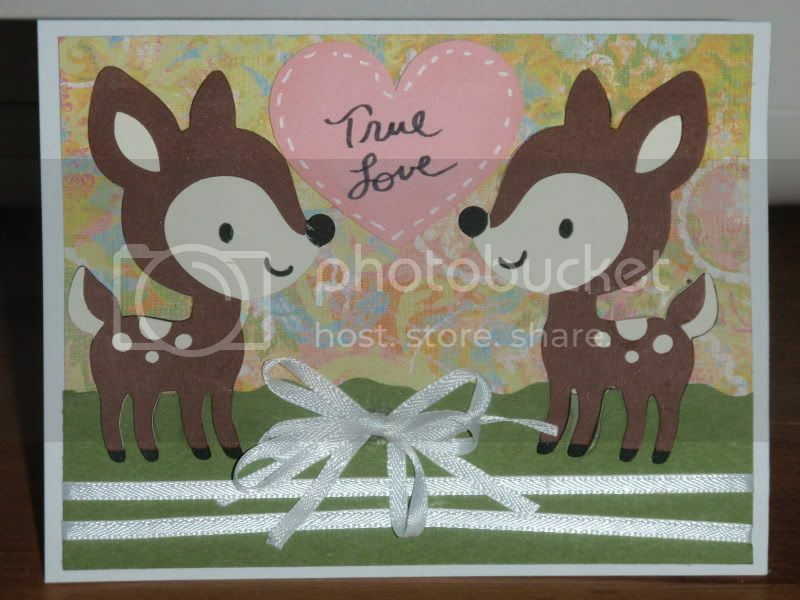 I cut the deer at 3" and the heart at 2". The paper is K&Co's Sera Sera. I used a pair of Fiskar edgers for the grass, and added faux stitching using a Galaxy Marker white pen.